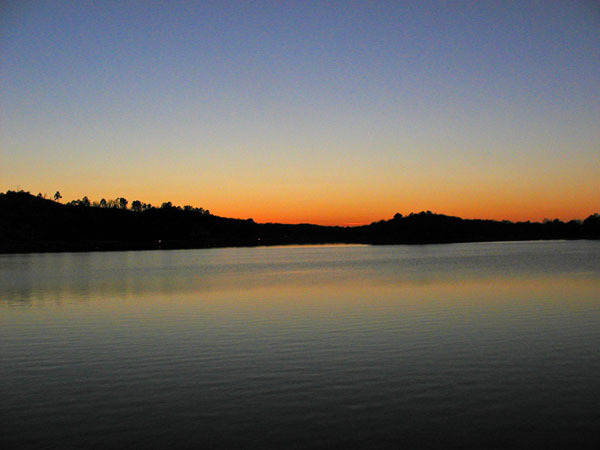 I took a quick, weekend trip to Arkansas. 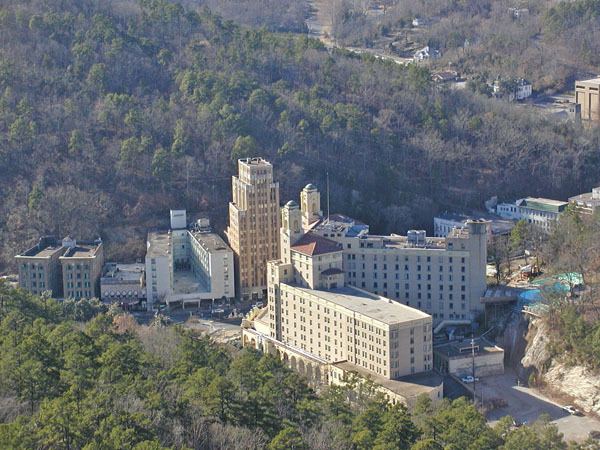 I spent a couple of days in Hot Springs and then toured a bit in Little Rock before flying back. 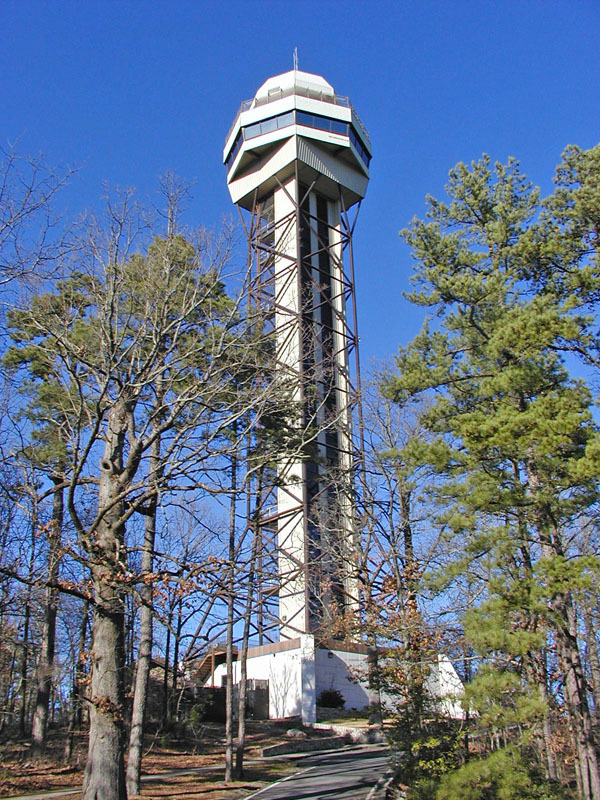 Below is an observation tower in Hot Springs and a couple of views from the tower. 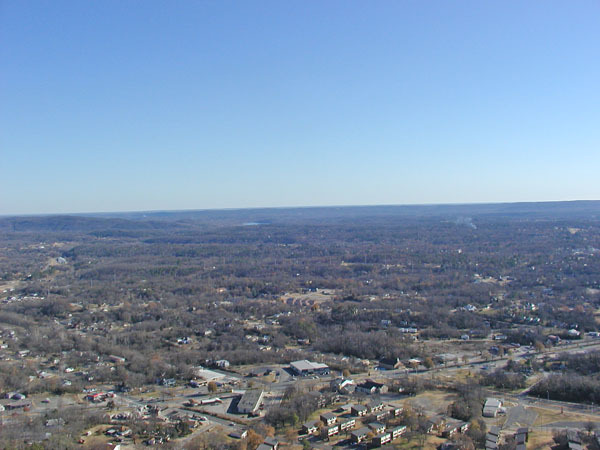 The town of Hot Springs is rather quaint. Along Central Ave. there are many shops and a few hotels. 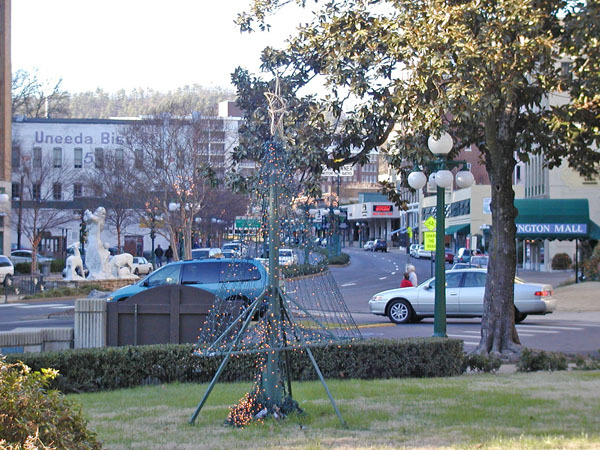 The town was ready for Christmas. In the image below you may see the outline of a Christmas tree in lights. 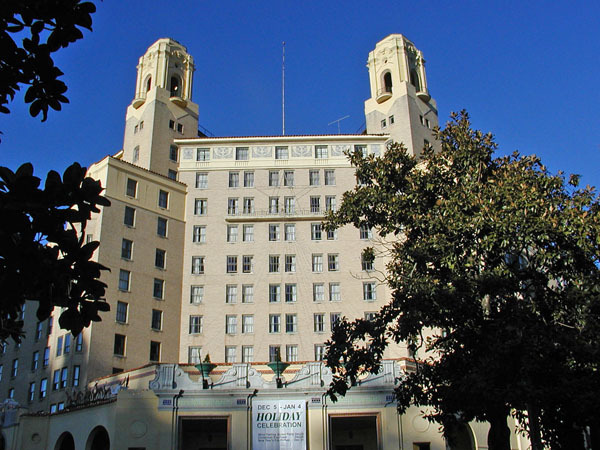 Here is a picture of the Arlington Hotel. 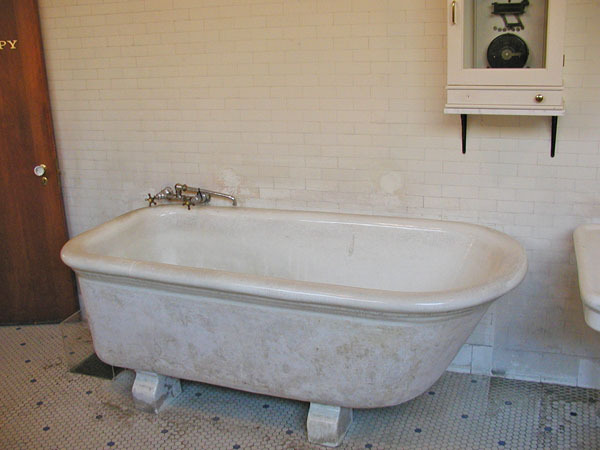 It is one of a few that still have "The Baths." 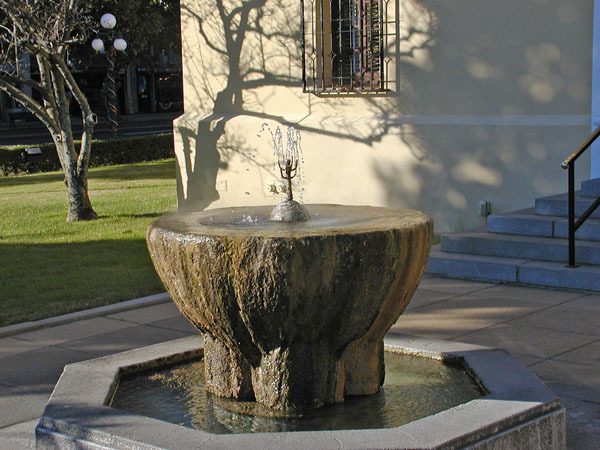 Below is one of the tubs that used to be used for the hot springs baths and one of the public fountains fed by the hot springs. 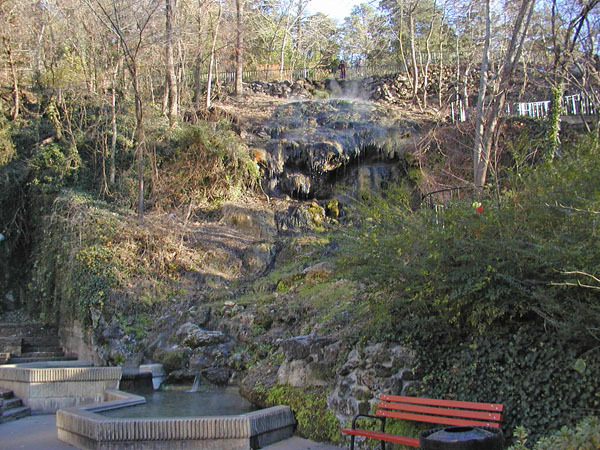 Below is a waterfall they have created from the flow of one of the springs. 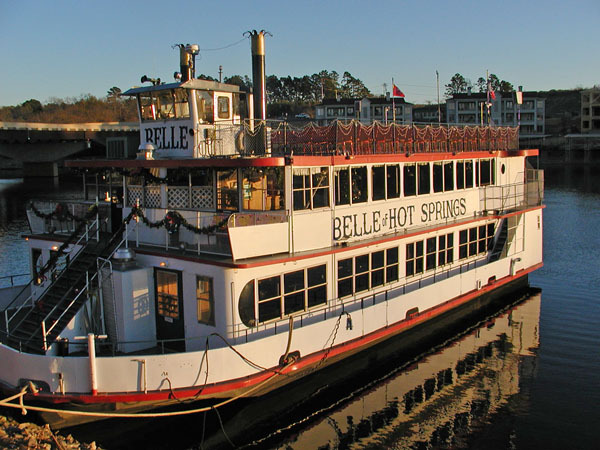 Below are pictures from a sunset cruise on the Belle of Hot Springs.